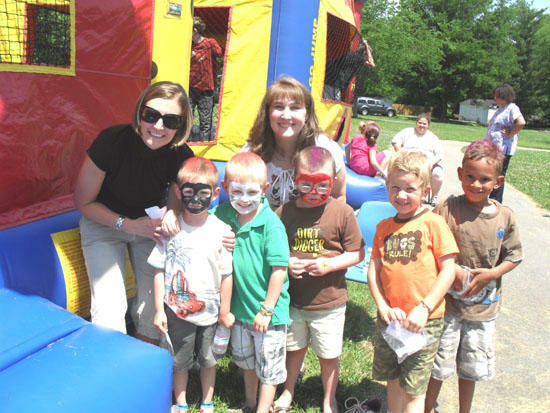 Auburn School recently held its first School-Wide Positive Behavior Carnival. The carnival was a reward for students who had earned SWORD Awards for Showing respect, Working hard, Being On Time, Responsible, and Dependable. Thanks to the faculty, staff, and parent volunteers who made this a huge success. A special thanks to Greg Goff from Exit Realty-Bob Lamb and Associates for providing a much needed tent and Mr. Porter and the CCHS Band for the excellent music! We are VERY blessed to have such a wonderful and caring staff at Auburn, I hope you all know how much you are appreciated!